With FESPA Asia 2018 just around the corner, Rob Fletcher looks ahead to the event and picks out some of the key highlights at this year’s show. FESPA events in 2017 attracted visitors from across the global industry, with the regional exhibitions allowing industry professionals to gain a key insight into the latest technologies on offer to the market. This year looks set to be no different, with FESPA lining up a series of global and regional events. 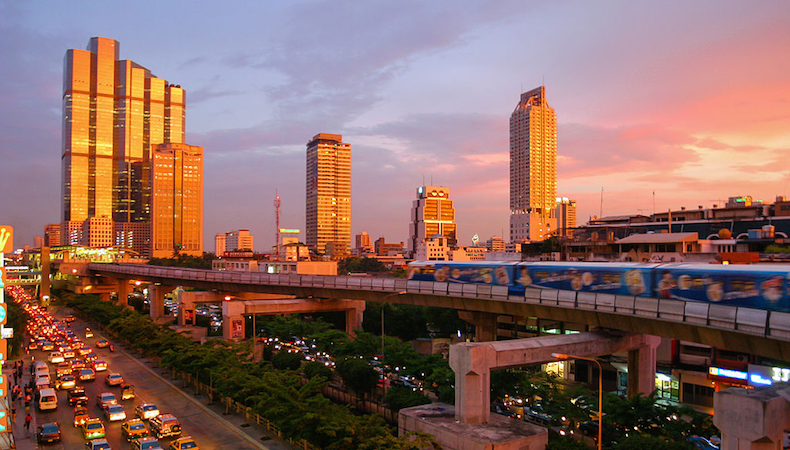 First up is FESPA Asia, which will take place from February 22-24 at the Bangkok International Trade and Exhibition Centre (BITEC) in Thailand. The event aims to connect screen, digital, textile printing and signage communities across the ASEAN region. In addition to a host of major names from across the global industry, FESPA Asia will include a series of in-show features, each designed to offer guidance and advice to visitors as to how they can grow their businesses. Among the many highlights at FESPA Asia will be a special FESPA Textile feature, where visitors can learn not just about the opportunities available in the textiles sector, but also how they can access this work and establish textile print as a key part of their business. Also running throughout FESPA Asia this year will be the ever-popular seminar programme. Kicking things off on the opening day will be Mark Gervais, director of screen print at Ninbo Shenzhou Knitting Co., who will discuss hybrid digital technology, focusing on merging print and digital. Later on, Dmitry Sarbaev, managing director Fluxmall DTG Vietnam, will look at how to start a successful direct-to-garment printing business and what visitors need to do to establish themselves in this competitive sector. Moving on to day two and Michele Riva, sales and marketing director at EFI, will be in attendance to talk the future of printing and the ‘Digital Textile Ecosystem’. Sean Holt of FESPA will then look at the FESPA Print Census 2018, the largest data gathering project in the wide-formant print industry. Highlights on day three include a session by Cholakarn Visutipitakul, marketing and creative director at Bodhi Tree Décor, on hybrid printing within the interior decoration market, as well as a presentation by Direk Chowdhry, chief executive of Asa Print Technologies, on trends in print and manufacturing of apparel. Away from the seminars and a special show feature set to draw attention is the Asian regional round for the FESPA Wrap Masters 2018. Here, visitors will be able to see some of the most talented wrappers compete for a place in the final round of the competition at FESPA 2018. These special sections aside, visitors will be able to find out more about the latest advancements in print technology from many of the leading names in the global print market. Kornit Digital will be one of these brands and will focus on its direct-to-garment solutions at the event. Kornit Digital will be working with Thailand-based partners Chaiyaboon and Scala at FESPA Asia 2018 in an effort to connect with visitors on Stand B10. The company will be showing off its Breeze and Storm Hexa as it seeks to showcase how its products can support those active in the direct-to-garment market. Kim said: “Kornit Breeze is the entry-level of our advanced direct-to-garment printing solutions. It is compact, powerful, and is designed specifically for e-commerce shops or small to mid-sized commercial digital t-shirt printing businesses. Another major name on the floorplan this year is screen printing specialist M&R, which will be based on stand D30. Rick Bach, regional manager for Asia-Pacific at M&R, said that the company has opted to return to FESPA Asia this year after a successful appearance at the 2017 event. Bach said: “We experienced excellent attendance at the 2017 FESPA Asia and M&R’s sales were positively impacted throughout the year. We recognise Asian buyers prefer attending quality trade shows without having to travel so far. FESPA is the best way for them to see the latest technology from around the world. Visitors to the M&R stand at FESPA Asia will be able to find out more about the Hybrid Victory 1 oval, which features the new, higher speed digital print head. M&R will also show off its high efficiency screen room, consisting of I-Image S, Uni-Kote screen coater, Starlight LED exposure and Eco-Rinse washout unit. Also due to exhibit at FESPA Asia in February is Caldera, a specialist provider of RIP software for large- and grand-format print production. Sebastien Hanssens, vice-president marketing and communication at Caldera, said that the company values FESPA events highly as it allows the firm to reach out to the wider print community and, as is the case with FESPA Asia, key, regional markets. Hanssens said: “The Asian market is very important for Caldera and we have invested to grow there with dedicated native speaking sales and support resources. We have been participating and partnering with FESPA for many years because it a dynamic trade-show where we are sure to meet our prospects and customers. Visitors to the BITEC next month will be able to find out more about the legacy RIP software available from Caldera, while Hanssens also reveals that the firm will be placing a key focus on soft signage work. Hanssens added that Caldera has identified this market as a key growth sector and expects this to be a major trend both at FESPA Asia and over the coming months. With these companies representing just a small selection of the many scheduled to exhibit at FESPA Asia in February, it is clear that there will be plenty on offer for visitors from all backgrounds. For more information about the event, to view the full list of exhibitors and to register, visit the FESPA Asia 2018 website: asia.fespa.com. Don't forget to use code: ASAH815 to get your free entry for the exhibition.